Known in the UK as cuts per metre. It is a measurement of the number of times a cylinder blade brushes past the bottom blade over a distance of a metre. The finer the grass surface the higher the clip rate. 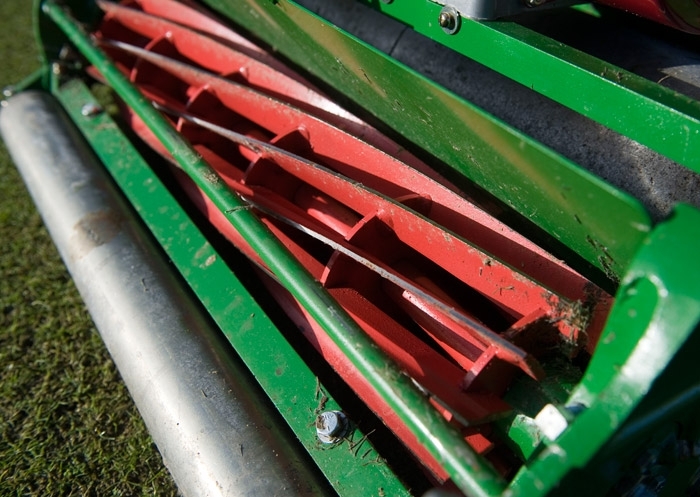 A ribbed appearance in the surface by attempting to reduce grass too much in a single operation. The greater the number of blades on a cylinder, the higher the clip rate. Some mowers have a high speed cylinder and reduced blades. The higher the clip rate the better the finish.